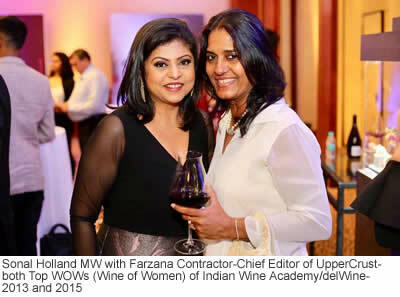 Sonal Holland MW had earlier said that this year would be bigger, better and shinier. 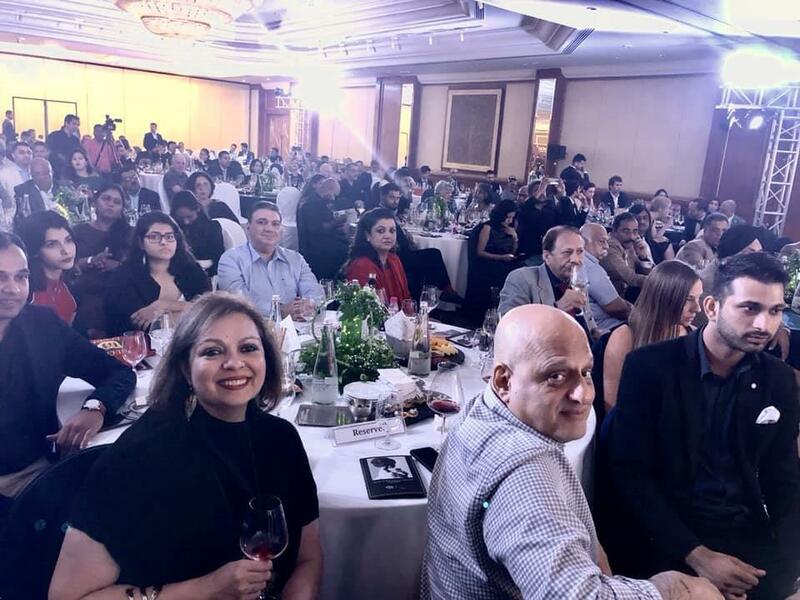 It was certainly bigger with 353 entries as compared to the 301 participating in the inaugural Edition in 2017 when 17 had won the top Diamond Award, 55 had won Gold while 82 managed Silver Medals, thus with about 51% Indian and imported wines getting some recognition. This year’s 184 medals were at the strike rate of a close 52%. Medals were awarded on the basis of a 100-point score as is done in all major international wine competitions-Silver for wines with 85-89 points, Gold for 90-94 points and Diamonds for 95 points and above. It also appeared bigger because of Trophies awarded. 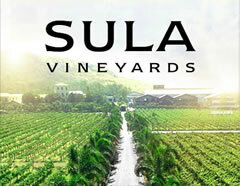 There were 30 Trophy Awards for the Best in Class Wines across style and price-points categories. There was a tie in Best Super-Premium Wine in the International category- between Torres Mas La Plana 2012 and Boscoselvo Brunello di Montalcino 2010. It was better also because there were more attendees- estimated by her at 300. The Hall was much bigger to start and with most of the glitches of last year sorted out, it was a better event, what with a whole hearted participation by Leela Mumbai, the hospitality partners with much more space available-Leela Mumbai has been visionary to hold a wider expanse of land and building near the international airport. From the looks of diamonds and the jewellery worn by the ladies who seemed to have also been higher in numbers and the presence of another Master of Wine from London, the young Victoria Burt who represented one of the sponsors- WSET, it was a shinier event too. 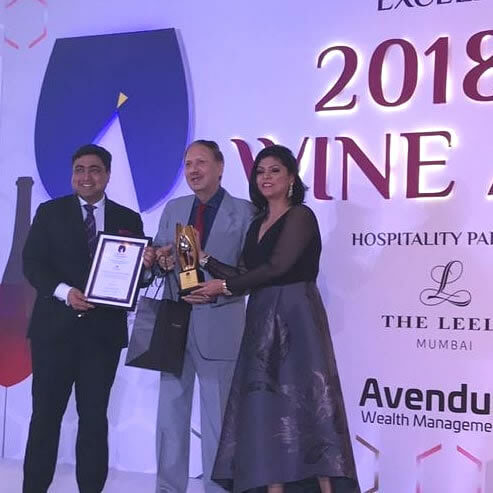 What made it bigger was also addition of a special category of Excellence in Restaurant Wine Program at Hotels and premium Stand-Alone Restaurants across Mumbai, Delhi and Bengaluru. 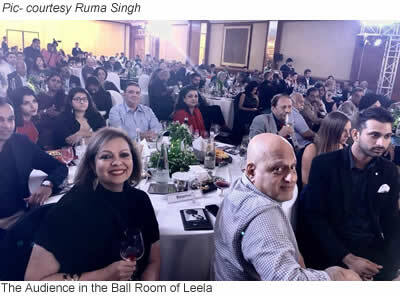 The Indian Wine Awards recognised 20 restaurants for the World-Class Wine List, 8 restaurants for World-Class Wine Experience and 6 restaurants even awarded for the most Competent, Wine-Trained Service Staff, thus widening the scope of the Awards. Four Masters of Wine including Victoria Burt MW had perused the entries to reach the Awards List. This is the part of the competition liked by most as fun and is very relevant because it’s important to establish wine as a food product and it is important to find the best pairing for any dish. Inspired by the Hong Kong International Wine and Spirits Competition which introduced this category about 6-7 years ago and where Subhash Arora has been judging this category from the very beginning on the 4th and last day of the competition, 6 dishes were introduced last year- Mutton Seekh Kebab, Butter Chicken, Pathrani Fish, Kathal Biryani (V), Kerala Stew (V)and Baingan Bharta (V). This year saw an expanded list of regional popular dishes as well as king Gulab Jaman for dessert. Rarha Mutton, Chicken Chettinad, Goan Prawn Curry and Malwani Fish Curry were selected for the non- vegetarian section while the vegetarians delighted on Kali Daal, Litti Chokha, Aloo Poshto and Paneer Khurchan. It is important to understand that the wine is not judged for its quality in this section-it should be clean, pleasant and quaffable on its own. 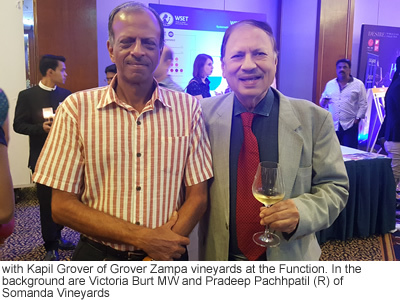 For instance an ordinary Indian off- dry Riesling may go very well with a vegetarian dish like Paneer Khurchan, bagging a Gold Medal or even a Diamond but a fine Barolo may not even get a medal with this vegetarian dish. The purpose of the food and wine match competition is to encourage people to think of wine as a beverage that goes better with properly matched food. Despite the classical matches, it is common to come across a match that is completely unthinkable though most classical matches find a favour with the professional jury. 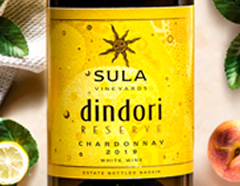 It is also the objective of this segment to encourage people to drink wine with Indian food. 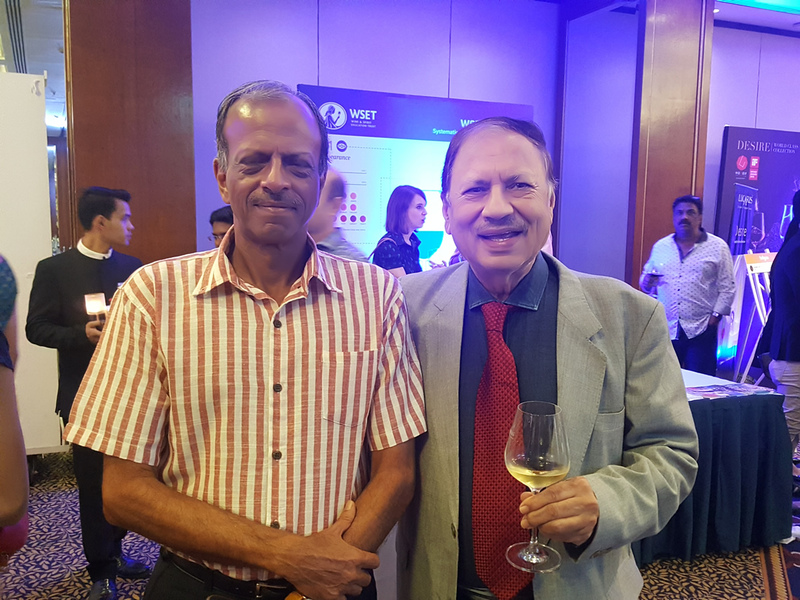 Arora has been a long term advocate of slightly off dry sparkling wine or even a Rose Brut to match with Indian food, especially when in doubt and the results validated his recommendation, the biggest category winning medals and trophies in this category. 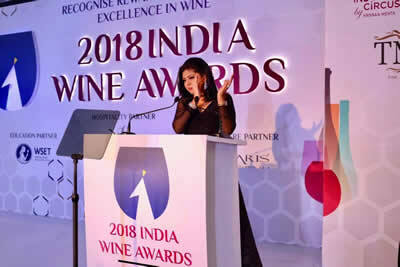 The Awards was the brainchild of Sonal Holland MW who had teamed up with Subhash Arora of Indian Wine Academy and Sourish Bhattacharyya of Indian restaurant Spy last year since they had a similar concept in the offing, as a joint venture for these Awards with her joining the delWine Excellence Awards, the first edition of which was organised at the Pullman Aerocity in Delhi. Due to the geographical distance, they detached themselves and she owns the competition and was the Chairperson. A word of recognition for The Leela Mumbai which helped make it a memorable and glitzy experience. 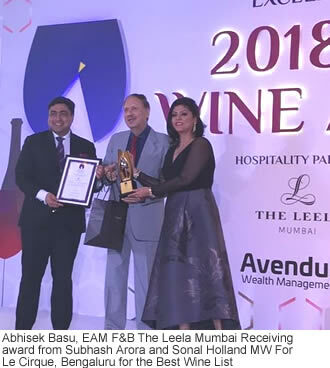 The food served -both the variety and quality matched by an excellent service-including the wine pouring and service temperature, were impeccable and a testimonial to the dedication and commitment of the F & B team led ably by Abhisek Basu, EAM F &B. 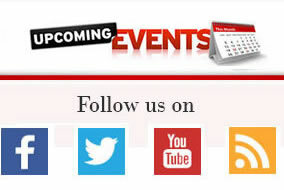 The event was well co-ordinated with the well –known TV personality, Aneesh Trivedi. 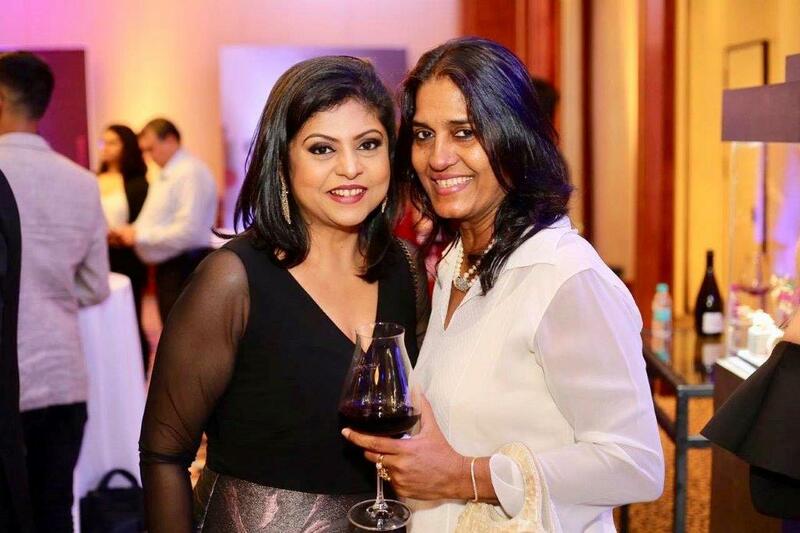 Sonal in collaboration with Wine Intelligence, the global consumer research leader for wine businesses, also launched the second edition of the India Wine Insider, a report introduced last year. 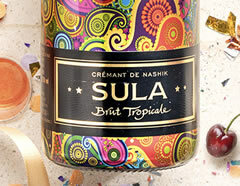 The paper focuses on insights from urban Indian wine drinkers. It was heartening to learn that women drinkers are equal in numbers as men and that they can spend as much for a bottle as men- not so easy to digest.